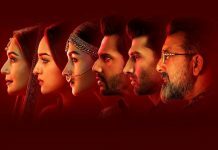 Jalebi Movie Review: You'll Need A Real Jalebi To Relieve The Unsavory Taste Caused By The Film! 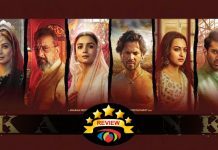 Home » Reviews » Jalebi Movie Review: You’ll Need A Real Jalebi To Relieve The Unsavory Taste Caused By The Film! Story, screenplay, dialogues, everything just seems out of the place leaving you no choice but to appreciate how beautiful Rhea is. Even the hyped up music of the film fails to impress barring couple of songs. KK’s Pehle Ke Jaisa and Arijit Singh’s Pal are the only two worth the listen songs. Jubin Nautiyal’s Tum Se around which the entire base of the film was built falls flat. Raju Singh’s background score is nothing great when he had the chance to create wonders with this. Share with us your experience of watching Jalebi Movie . 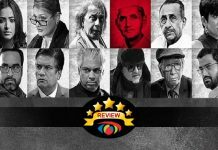 Tumbbad Movie Review: Never Knew Fear Could Look So Beautiful! Zero: The Unique Connect Of Shah Rukh Khan And Salman Khan!